When you learn online, you can bring your dogs to school. I’ve shared many posts where I cover setting our dogs up for success, but it is super important that we set ourselves up for success too. We are always looking to do our best for our dogs and to do that we need to take care of ourselves. 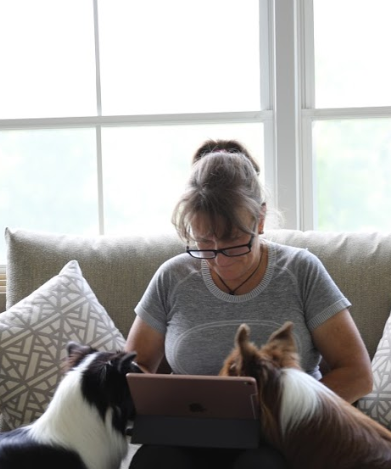 I love continuing education and online learning, so as you are reading my dog training blog online, I thought I’d share tips about online learning for you and your dog … but this can apply to anything at all you want to learn. The convenience of online learning is having a classroom available any time of day or night allowing you to fit in learning with work and family life. You can learn at any time that suits you, no matter where you are. There is no need to commute to an online classroom, and no need to juggle your schedule to arrive at class at certain times on certain days. This flexibility gives you more time to enjoy learning. Online learning opens up a world of possibilities to immerse yourself in anything you ever wanted to learn about with educators who are the best in their fields. If you can turn a computer, mobile or tablet on and off, comfortably use a mouse and / or tap a screen, save a file, navigate around the internet, send and receive an email … then you can enjoy a virtual classroom by creating your very own physical classroom using your computer, mobile or tablet. You will have your own private classroom that suits you, can try out things in the comfort of your home, and practice when YOU want to, HOW you want to. Set yourself up with your very own classroom of success. Create a space for you and your course materials. Have a special low distraction area where you can play with your dog. This is your very own private training facility where you can take the learning from the computer to the real work by playing with your dog in an environment that sets you both up for success. You can check out my blog post “6 Keys to Shaping Behaviour” to see how a quiet area benefits our dogs. Your new area can be as simple as a corner in a room or as elaborate as a cleaned out storage area with a table, chair, notebook, treat area and your own little work area. You can go so far as modifying a room or just designating a “training corner” in a larger room. Playing with Tater in a quiet training area at home, with Swagger supervising. Set an INTENTION to train (which is really play!). Create your own schedule. Committing to spending a certain amount of time in the online classroom to learn, and a certain amount of time to put into practice what you are learning will help you stay on track. The great thing about online learning is that if things happen to interrupt your planned schedule, you can readjust as there are no deadlines to meet. Set an intention AND a time in your daily check list or calendar! Organise your course materials in folders, or take notes … or both. Create a special library or notebook just for your course material and set it up in a way that suits you. Keep notes of your progress in a journal that is only for this purpose (and not for your to-do lists, or shopping lists, or anything else). Your journal can be as elaborate or as plain as you would like. Remember, it’s all about you creating what you want. Put the learning into action. 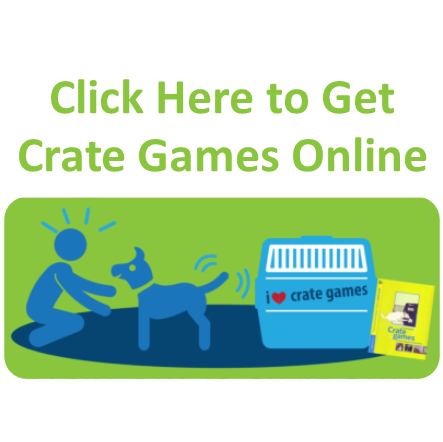 Take the learning from the keyboard to your training area and play with your dog! Make your time learning special for you. Keep distractions low, learn at a time that suits you best when you know you can concentrate. You might have to turn off all devices that are likely to beep, knock or ping you, especially if it’s social media. Set your learning area up in a way that inspires and motivates you. Think about everything you love about learning, and the joy it gives you, and put ‘prompts’ for this where you spend the most time learning. Even if you do all your learning via your phone, you could create an album of images that mean something to you, and look at that to ground yourself as the first thing you do when it is your private learning time. Decide what makes sense to you. Does this resonate with my core values and the kind of person that I want to be not just with my dog but to others in my life? 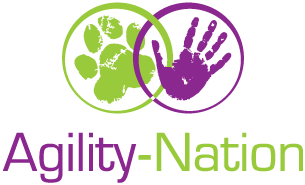 Is this scientifically sound, has it worked not just for one or two dogs, or highly skilled dog trainers, but rather does this just work for all people and all animals? There’s a bonus tip that I’ve shared on my blog before, and that is to aim for “progress, not perfection” (and I know that anyone in one of our online classrooms will be nodding their heads at this). Remember to celebrate all your learning, every day there will be something! Allow yourself to be a learner, and let yourself be a beginner if you are learning something new. Enthusiasm will get you started but good daily habits are going to make sure you stay on the path to success. Do you have a special learning area for yourself and an area that is low in distractions to play with your dog? Let us know in the comments. Your set up could help many people with ideas. Today I’m grateful to the wonders of modern technology that allow us all to learn from anyone in the world, in the comfort of our own home. And I am also deeply grateful to everyone who has learned online with me. When I first started dog training online as a way I could meet the demand for teaching and seminars around the world without all the travel and time away that it necessitated, I was told it was not possible and that it would fail. That was over a decade ago. Each of you has helped make online dog training something that can be amazingly special.